All year we patiently watch as the bright white coffee flowers grow into little green fruit, then ripen into plump red coffee cherry. 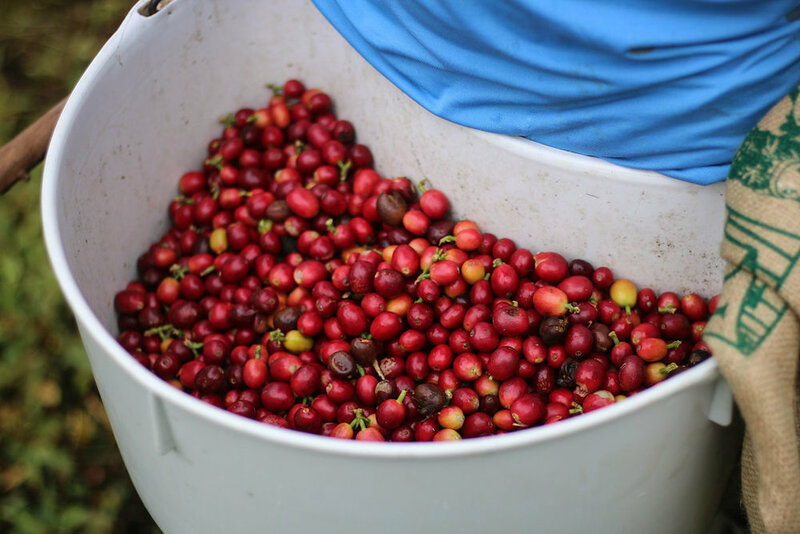 The end of summer brings the first harvest of coffee cherry here in Kona. 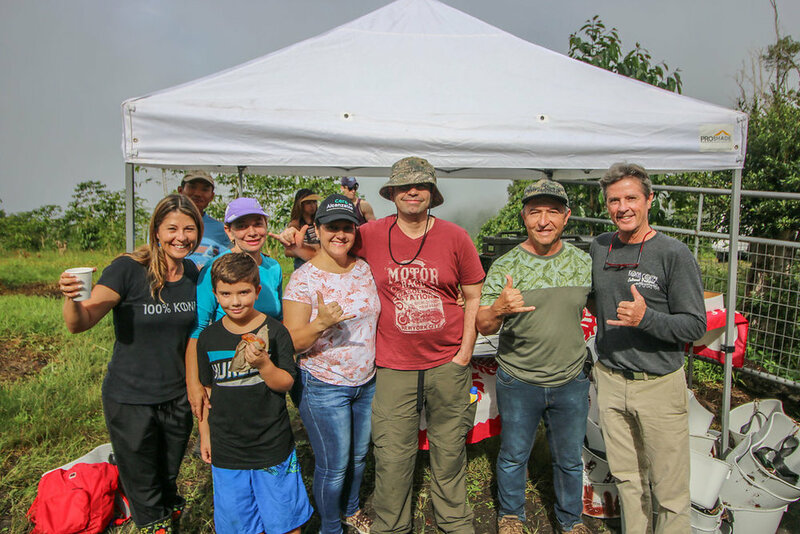 Every year we invite our community to come experience the first harvest of coffee and learn about growing Kona Coffee on slopes of Hualalai. 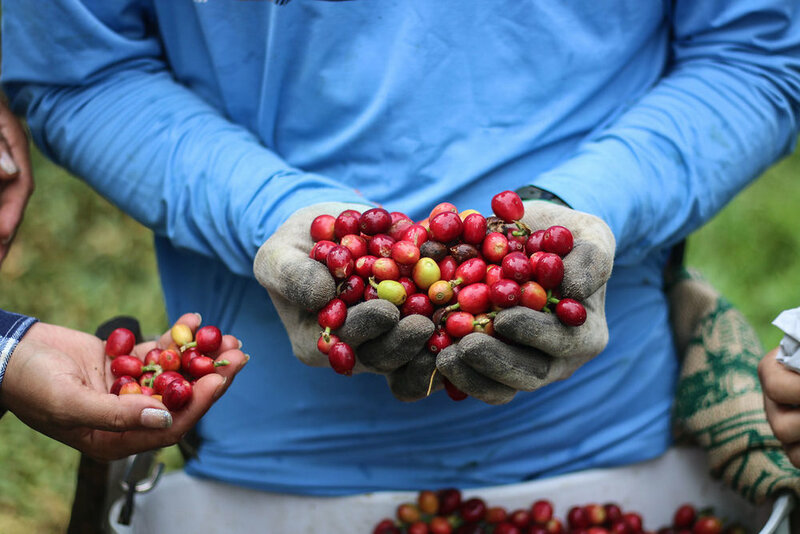 The following account is by Margaret, our café manager, and first-timer to first harvest. I have had the pleasure of working at Kona Coffee and Tea for a little over two years now. As someone who started out knowing very little about coffee, I have learned many different aspects in that time; the growing process, how the beans are milled and then sorted, how the coffee is then roasted to varying degrees of darkness, how to make the perfect brew, and finally how to make a rosetta or heart on the top of your café latte. 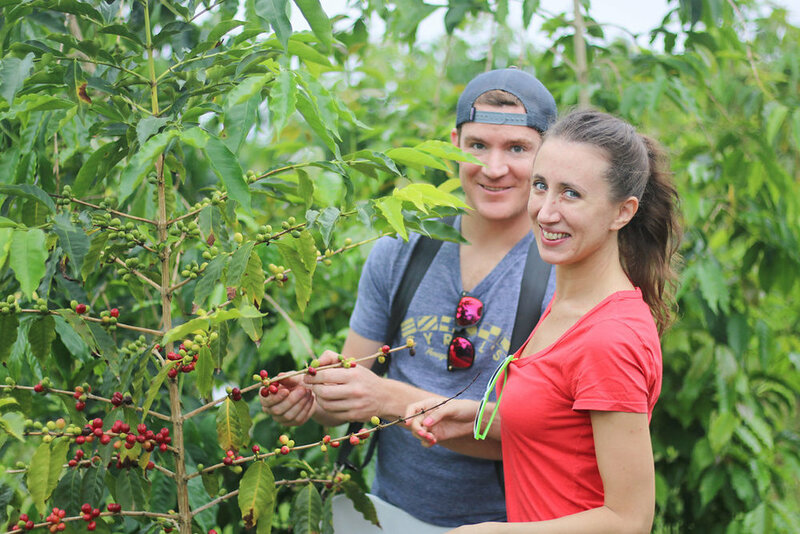 One aspect of the coffee industry that I had yet to experience was seeing our farm in person and getting my hands on those ripe cherries. The day of First Harvest was perfect weather, not too hot and slightly overcast, great for picking coffee! 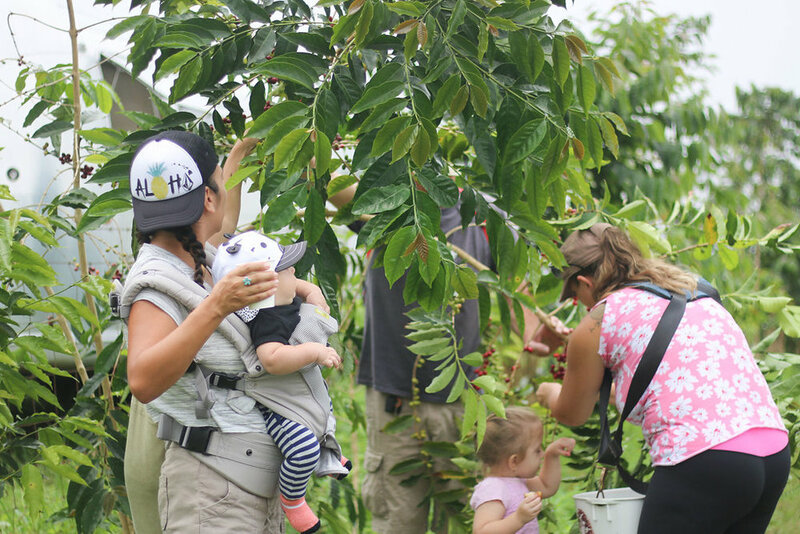 With a diverse group of friends and visitors combined, some even from as far away as Columbia, India, and New York City, we set off in teams of 2-3 between the rows of coffee to pick the most vibrant of cherries. 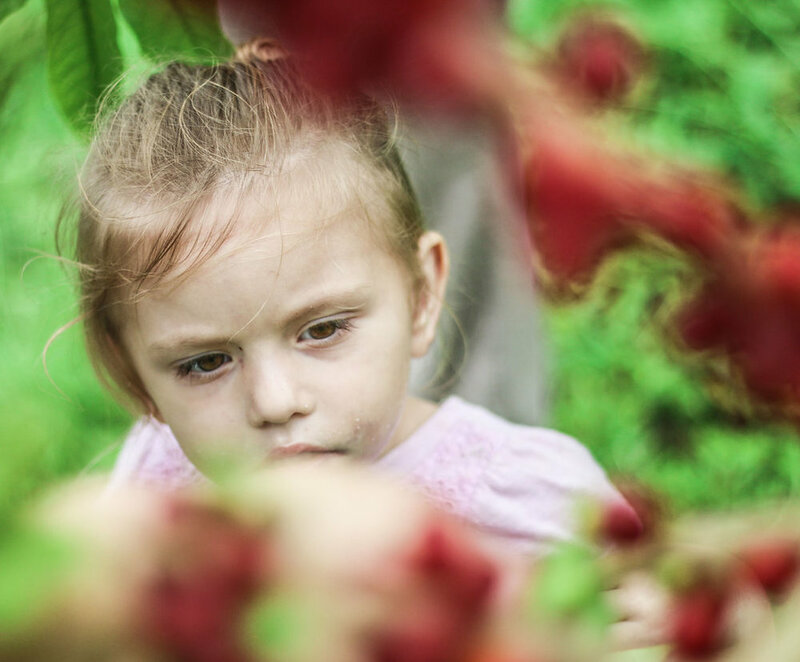 Starting off, we needed to find the coffee trees filled with bright red cherries, if the cherries were too hard to reach the flexible branches were able to meet you at your level. Avoiding the semi-ripe cherries, you use a small twisting motion to get the cherry off the branch. After an hour and a half of picking I was impressed by my amount of cherries weighing in at 32 lbs., only to find out that the more seasoned of pickers had accumulated 75 lbs.! Coffee has become such a large part of my life in one aspect or another, so being able to participate in this day of community and to physically see how the life of coffee begins made me that much more grateful for the company I work for and the opportunities it has given me. Thank you to all the helping hands that came out for First Harvest! You’ll be able to taste this first harvest in our café or in our online shop soon, once the beans have been milled and roasted. 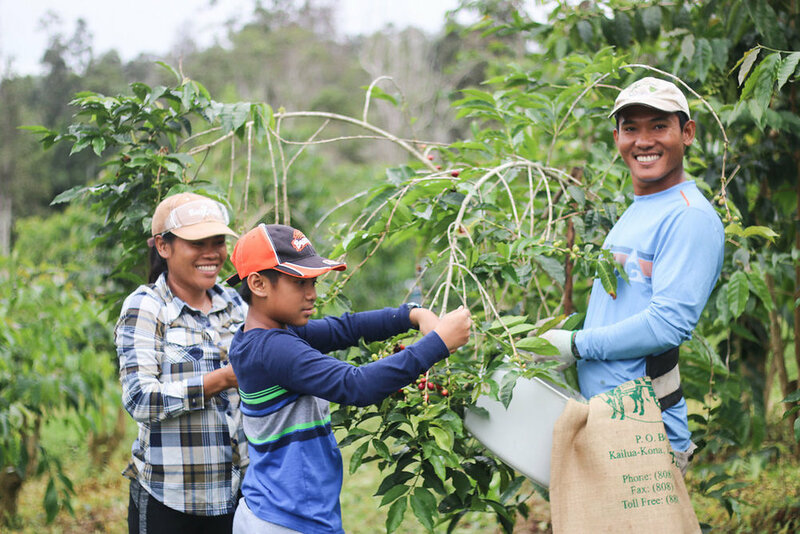 We hope to share more of our Kona coffee culture with you at next year’s First Harvest. Mahalo to Chance Ortiz of Chance Punahele Photography for sharing these photos. I was born and raised in the Appalachian Mountains in Southwestern Virginia as the youngest of three, then moved to Hawai'i island right after I graduated high school. Going from the mountains to the sea, I have been Iiving here off and on for the past 6 years. I have loved getting educated on Hawai'ian culture and life on the island. I have been blessed to travel to many places in the world, including Mongolia, Kyrgyzstan, Oman, and Cambodia, but I am grateful every day for this gorgeous place that I call home. I have been working for Kona Coffee & Tea for a little over two years now, and have loved pouring myself into this family-owned business. I came from a similar background of family-owned business, and working for family-owned businesses over the years; my experience in the past has taught me that people are what makes a place so special. Community and family around this business are what make me so proud to be a part of the KCTC team. When I'm not running around the coffee shop, I enjoy making things grow, being outside, fishing and a newfound love for freediving and spearfishing.